People generally ask me if there's any job in which you can work for few hours a day and earn lacs, There is one job which matches the lazy requirements, that's none other than Blogging. Yes you heard it right, High quality Bloggers are in high demand, companies are ready to give as much as 1000$ for single sponsored post. According to statistics, About 60% customers search for review before making the first purchase in a site. Generally sites like complaints board and mouth shut rank up for the query which mainly contains negative reviews, so if you can contact High DA Blog owners and get a sponsored post from 5 such Blogs, They rank up top for your brand review query, thereby giving good impressions to the customer, This way you can improve conversions by as much as 100%. 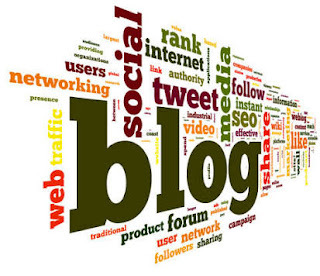 Consider if a blog has an average post impressions of 10,000, so if you can get sponsored posts from 10 such blogs( 1 sponsored post per month), you are reaching 1 lac audience who are highly related to your niche, and their favourite Blogger is recommending your product, so Conversions will be in the range 100-2000 depending on the pricing of the products. The article ranks up extremely well in search engines well for few queries. Sponsored posts not only give conversions but also improves brand value and search engines rankings through backlinks.. Contacting Bloggers is the difficult part, while affiliate sites like v-commission demands money, Bloggers recommended by search engines are usually costly, so to solve this problem Boost Bloggers is coming up with flagship service " B2S Connect" which connects Bloggers to startups, we are even taking web 2.0 blogs like blogspot blogs as these blogs are generally rank up well in search engines and links from these sites do not act as spam. Entrepreneur are given permission to view this page, then tbe entrepreneur or the digital marketing person contacts the Blogger through us. Bloggers who are interested to join B2S connect can fill this form B2S Connect.